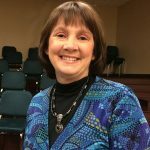 This entry was posted in Art Forms, Dance, Film, Music, Spoken Word & Poetry, SWAN, Theatre, Video, Visual Arts, Writers/Literature on March 30, 2019 by Martha Richards. 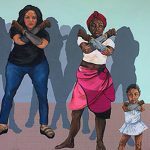 This entry was posted in Art Forms, Arts & Politics, Arts & Social Justice on February 14, 2019 by Martha Richards. 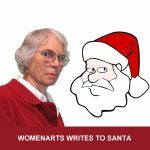 This entry was posted in Art Forms, Arts & Economics, Dance, Employment, Film, Music, Spoken Word & Poetry, Theatre, Video, Visual Arts, WomenArts, Writers/Literature on December 21, 2018 by Martha Richards. This entry was posted in Art Forms, Dance, Film, Music, Spoken Word & Poetry, Statera Foundation, SWAN, Theatre, Video, Visual Arts, Writers/Literature on December 18, 2018 by Martha Richards. This entry was posted in Art Forms, Dance, Film, Music, Spoken Word & Poetry, Statera Foundation, SWAN, Theatre, Video, Visual Arts, Writers/Literature on December 13, 2018 by Martha Richards. 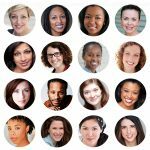 WomenArts is sponsoring an historic gathering of key SWAN organizers as part of the Statera Foundation’s Third National Conference in Milwaukee, Wisconsin from October 4 – 7. 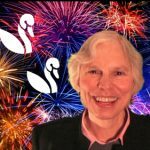 This entry was posted in Statera Foundation, SWAN on September 7, 2018 by WomenArts. 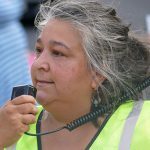 Hurray for the Statera Foundation team! They have already raised over $17,300 to meet the match for their $25,000 Challenge Grant from WomenArts!! Please help them if you can! This entry was posted in Art Forms, Arts & Economics, Dance, Film, Music, Spoken Word & Poetry, SWAN, Theatre, Video, Video Included in the Post, Visual Arts, Writers/Literature on June 22, 2018 by WomenArts. 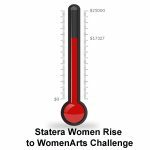 Executive Director Martha Richards announces that WomenArts has chosen Statera Foundation to lead SWAN Day 2019 and has given them a $25,000 Challenge Grant. 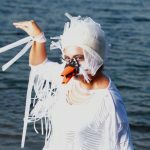 This entry was posted in Art Forms, Dance, Film, Music, Spoken Word & Poetry, SWAN, Theatre, Video, Visual Arts, Writers/Literature on June 11, 2018 by Martha Richards. WomenArts is proud to announce that Sarah Moore won 1st Prize in the 2018 SWAN Day Song Contest. 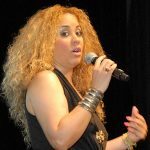 Toya Alexander won 2nd. Lisa Brigantino and Sari Miller & Jesse Ritter tied for 3rd. 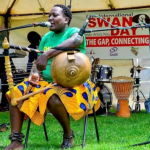 This entry was posted in Music, SWAN on June 7, 2018 by WomenArts. Thanks to everyone who submitted photos for the SWAN Day 2018 Photo Contest. Annick Duvivier won 1st Place, Mandi Martini won 2nd, and Billie Quijano & Sylvia Binsfield tied for 3rd. This entry was posted in SWAN, Visual Arts on May 31, 2018 by WomenArts. 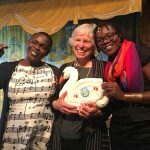 As usual, we were blown away by the amazing creativity and diversity of SWAN artists. We loved seeing the photos of your events and wanted to share some of our favorites. This entry was posted in Art Forms, Dance, Film, Music, Spoken Word & Poetry, SWAN, Theatre, Video, Visual Arts, Writers/Literature on May 4, 2018 by Sarah Greenman. Colectivo Moriviví creates public art that advocates for social justice. They have developed a community-based method to create murals that address domestic violence, racism, and other social issues. This entry was posted in Arts & Social Justice, Visual Arts on April 10, 2018 by Sarah Greenman. Frances McDormand ended her Oscar acceptance speech with a call for more “inclusion riders” in Hollywood contracts as a way of increasing intersectional gender parity in films. This entry was posted in Arts & Social Justice, Film on April 5, 2018 by Sarah Greenman. 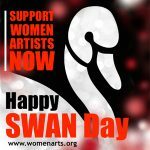 Happy Support Women Artists Now Day 2018! Happy Support Women Artists Now Day 2018! Take time on SWAN Day to tell a woman artist how much you appreciate her creativity. There is tremendous power in these simple acts of recognition. This entry was posted in Art Forms, Dance, Film, Music, Spoken Word & Poetry, SWAN, Theatre, Video, Visual Arts, Writers/Literature on March 30, 2018 by WomenArts. 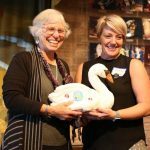 Ten Top Film Groups Collaborate on SWAN Day New York! 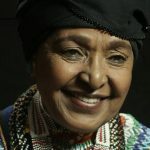 Ten powerful New York film groups, including leading advocates for women in film, are celebrating SWAN Day together this Saturday at a special screening of a film about Winnie Madikizela Mandela. This entry was posted in Film, SWAN on March 30, 2018 by WomenArts.